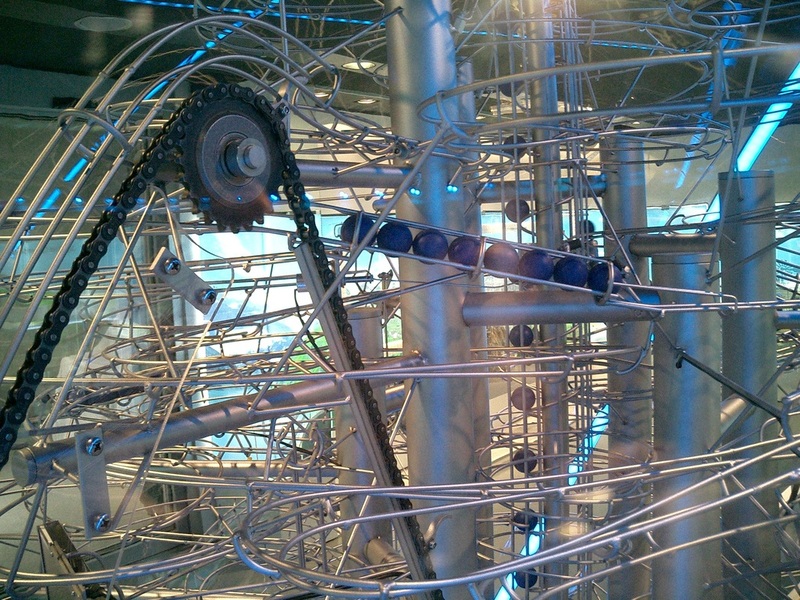 This Rolling Ball Sculpture, or Kugelbahn in German meaning "Ball Track," is the centerpiece for the Junior Campus area of the new BMW Welt(world) built in Munich, Germany. 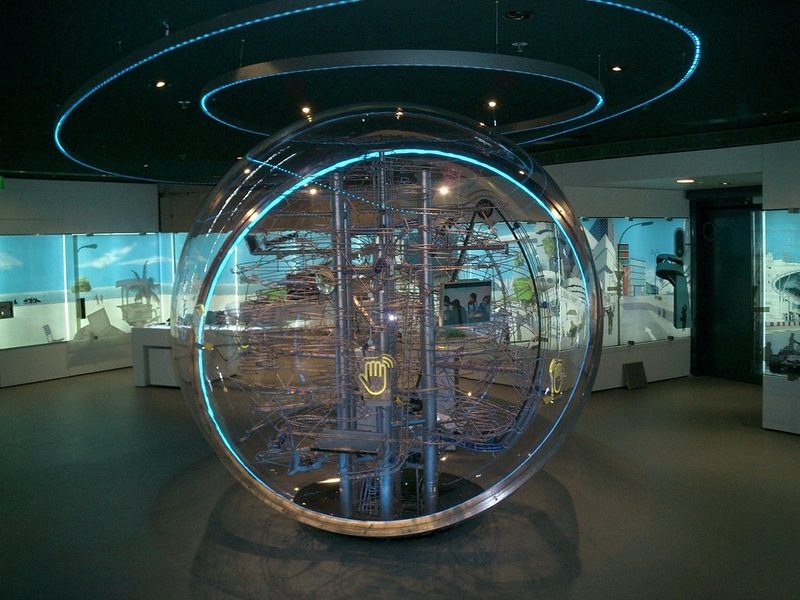 It is a very impressive sculpture with a spherical shape and several interactive points. A racing track section where kids control the release of two balls off the starting block to see who gets the fastest time through the looping track. Four interactive, no-touch, hand-wave sensors to release balls. A spherical shape to fit in with the architecture of the space. Five different types of ball lifts. 12 different paths for balls to take. 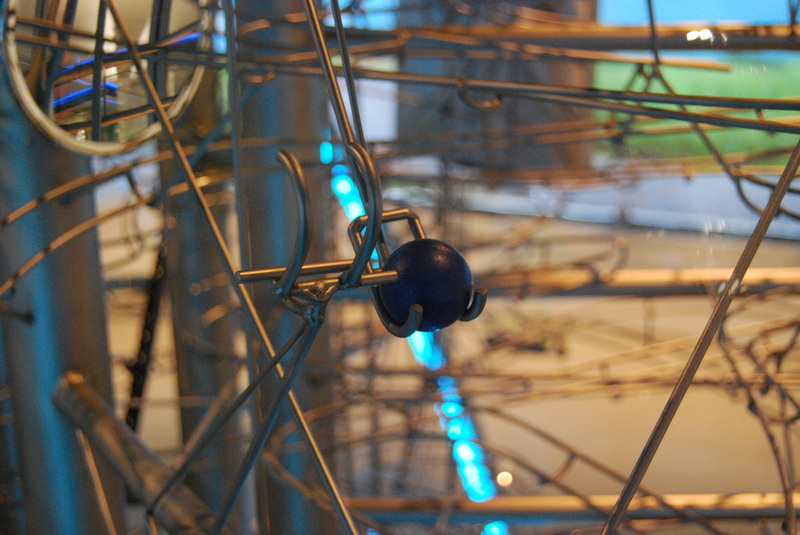 Over 100 meters of wire connecting the sculpture’s components to electrical controls. A hidden motor and gear-train located below floor-level. The BMW Welt Kugelbahn in the Junior Campus of BMW Welt, Munich Germany is highly interactive and celebrates mobility. The children on the screen wait quietly for a ball to pass by. When it does, they watch the ball roll past the screen then clap and cheer. Balls wait in a queue next to the curved chain lift. 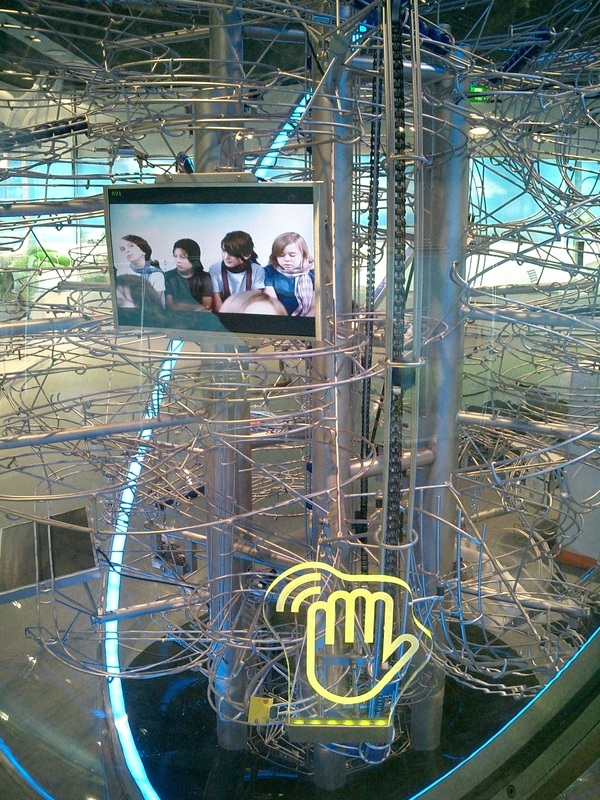 Balls from the queue are released to a jump track with the wave of a hand. 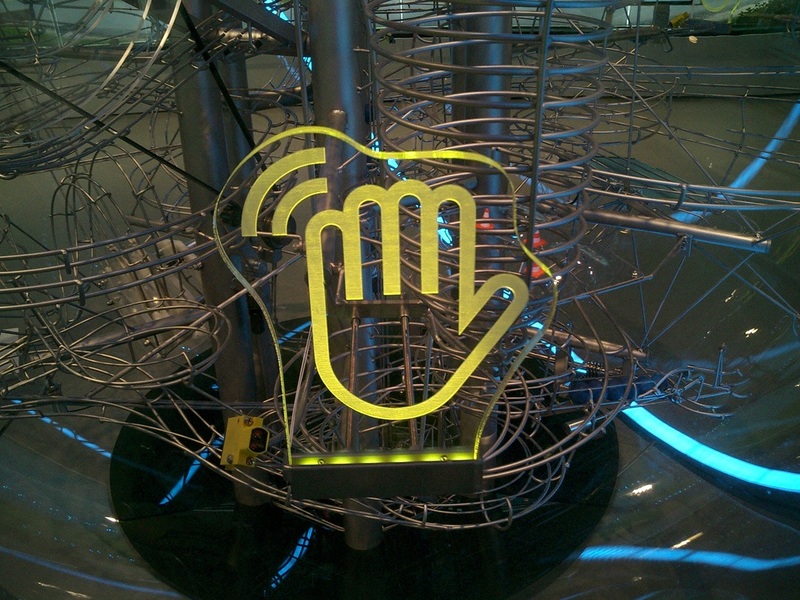 Wave your hand in front of this glowing yellow hand and a ball will release onto a track section on the inside of the sphere. One of five lifting mechanisms, the link lift is the most amazing to watch as the ball is passed from one moving link to the other.